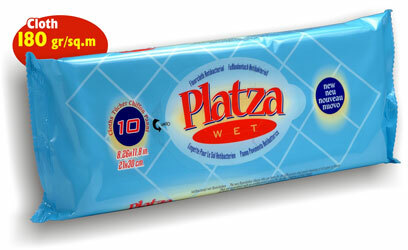 Platza wet wipes are ideal for a quick and sure way of cleaning any type of floor. Imbued with an antibacterial solution they guarantee the maximum hygiene and strong resistance due to thick cloth 180gr/sq.m with additional microfiber. Their lemon perfume leaves a fresh fragrance of cleanness in the room.